Accessible Cornwall: Cornwall’s here to be enjoyed by everyone. Here’s a snapshot of some of the most accessible things to do and places to go. The golden beach of Perranporth is a year-round winner for its fantastic facilities, which include a sand chair to aid beach access. The town of Perranporth, as well as the beach itself, is relatively flat and home to the Watering Hole beach restaurant which enjoys uninterrupted views out to sea. Despite being a valley garden with steep sections and steps, around 80% of the garden is accessible by motorised vehicles.Two motorised "Tramper" chairs are also available through the Countryside Mobility scheme, as well as a motorised carer controlled wheelchair. (book ahead to avoid disappointment). Plus, entry rates for Registered Disabled and for their Carer is half the standard rate! The two mile stretch of South West Coast Path between Penzance and Marazion flanks the glory of Mounts Bay with the fairytale castle of St Michael’s Mount on one side and trains chugging past on the other. The trail is level and wide with plenty of places to stop and take in the views. Arguably Cornwall’s most popular cycling route, the traffic-free Camel Trail is also great for those with reduced mobility. Both Camel Trail Cycle Hire and Bike Smart Cycle Hire in Wadebridge have bikes for hire which have been specially designed for children and adults who have disabilities. There’s tandem tricycles, side-by-side tricycles and a power assisted wheelchair tandem so that everyone can enjoy the trail. Book ahead or find out more here. Another beach which has a sand chair is Gyllyngvase in Falmouth. Here the golden arc of sand has a gentle slope and is boarded by a level pathway which runs the length of the seafront with beautiful views across the bay to Pendennis Castle on the headland. There’s also the open plan Gylly Beach Café which come rain or shine is a perfect place to enjoy a slice of beachside living. At the everything-thought-of Eden Project catering for all ages, abilities and backgrounds comes as second nature. As well as accessible parking spaces, toilets and wheelchairs available for hire, the Eden Project provides a range of sensory highlights and ensures no stone is left unturned with a full accessibility guide which is worth checking out before visiting. 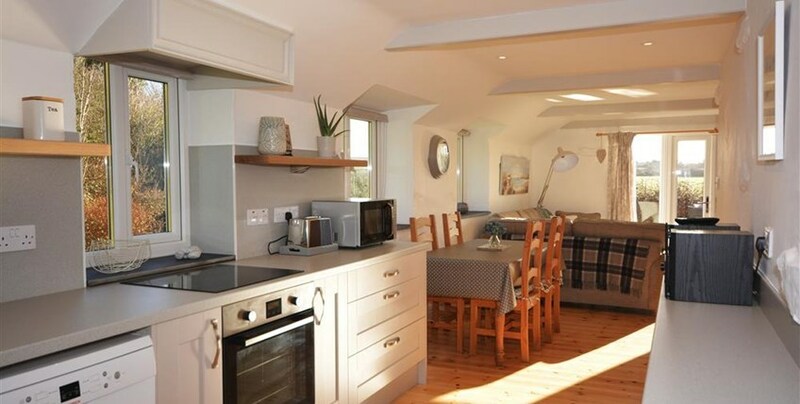 Trenerry Farm Cottages are set in stunning surroundings on the north Cornish coast. Just 20 minutes' walk along the footpath from beautiful National Trust owned Chapel Porth beach (where the World Bellyboard Championships are held each year!) and the picturesque village of St Agnes with its craft shops, galleries, pubs and restaurants. Meadow Cottage sleeps four with a sofa bed to accommodate 1 additional guest. Primrose Cottage sleeps two in spacious comfort. All three of the Trenerry Farm Cottages are suitable for wheelchair users, arranged as they are on one level with widened doorways, ramps from the parking area into the buildings, walk-in wet rooms and handrails fitted in the bathrooms. Offering excellent WiFi reception, Bluetooth docking stations, DVD players and outdoor seating. The cottages can be booked individually or together (subject to availability) to accommodate larger parties of up to ten people. The parking area is large enough to accommodate several cars.